SC Workers Compensation Commissioners (i.e. Judges) do not weigh negligence or assess fault in determining whether you are entitled to compensation for your on-the-job injury. Though compensation may be barred due to intoxication, horseplay, fraud and other defenses, your negligence will not prevent you from recovering damages if you were injured at work. In addition, your employer’s negligence will not increase the value of your case. South Carolina’s workers’ compensation laws simply state that you are entitled to losses that result from your work-related injury. Unless you intentionally hurt yourself, were injured due to your own intoxication, or engaged in fraud, you are likely entitled to compensation. 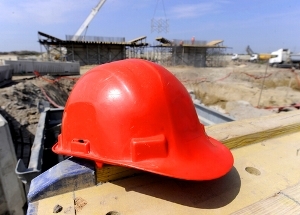 A South Carolina workers’ comp attorney can help you pursue the benefits our law promises. South Carolina law prohibits employers from engaging in retaliatory firings. If you are fired in retaliation for filing a workers’ compensation claim, you can sue your employer in civil court. While my firm does not handle wrongful termination lawsuits, our workers’ compensation experience has allowed us to develop relationships with a number of employment law attorneys. We would be pleased to refer you to one of these attorneys should you be the victim of an unjust, retaliatory firing. Many South Carolinians are reluctant to seek compensation for their work injuries because they are afraid it will cost their employer thousands of dollars. The truth, however, is that your employer’s insurance company – not your boss – is generally the party responsible for drafting checks and ensuring medical care is provided. Though your claim may result in a premium increase for your employer, this cost is often minimal to the loss you bear should you fail to file a claim. After suffering an on-the-job injury, you should immediately notify your supervisor/employer. If you think medical treatment is necessary, you should ask to be sent to the doctor. From that point forward, your employer’s workers’ compensation carrier (i.e. insurance company) is responsible for all medical care that “tends to lessen your degree of disability”; in other words, medical care that will improve your condition. The key is that only treatment authorized by the carrier will be paid for – except in the case of emergency, where the carrier could not be contacted or reached. We will work with the insurance company to ensure that you receive necessary treatment in a prompt fashion, though this process can be frustrating for clients and attorneys. Put simply, getting the insurance company to approve medical care, even when recommended by the treating physician, is not always easy. If a doctor places you out of work, or your employer cannot accommodate your restrictions, you are entitled to weekly compensation. The amount of weekly compensation equals approximately 2/3s of your average pre-tax wages/salary prior to the injury. Once you’ve reached what is known as “maximum medical improvement”, a doctor will assign you an “impairment rating”. You are entitled to additional compensation based in part on your impairment. We do caution, however, that in some instances, years pass between a client’s injury and the time they reach maximum medical improvement. Furthermore, the SC Workers’ Compensation Commission does not take pain or suffering into account when determining how much money you receive at the conclusion of your claim. I have handled many cases where a client was injured at work due to the negligence, recklessness or intentional acts of a “third party”. For instance, if you suffered a sudden fall at work due to a hazard created by a janitorial company, we would likely pursue two claims. The first against your employer’s insurance carrier, the second against the janitorial company. Civil actions allow you to recover money damages that workers’ compensation does not, among them damages for mental anguish, physical pain, and lost enjoyment of life. In other words, additional benefits designed to give you back the life you enjoyed prior to your injury may be available should your claim allow for what we call a “third party action”. If you have questions, don't allow anyone - especially not an insurance representative - to mislead you. Instead, call us today for a free case evaluation and free copies of my books. Our Columbia office number is (803) 790-2800. We look forward to helping you. Kenny Berger is an exceptional lawyer who cares personally about getting justice for his clients. As a lawyer for more than 20 years, I believe that Kenny is one of the most talented attorneys that I have ever met. Despite that (or maybe because of that) he works tirelessly to improve his skills. I would not hesitate to hire Kenny in any personal injury matter.